Have you dreamt of becoming a mother one day? Most girls dream of becoming a mother. It’s normal, expected and foreseeable. They picture their dream wedding, the house with a white picket fence and of course the beautiful children they plan to raise. So after months or years of trying to get pregnant, a woman might receive the devastating news that she cannot conceive..... They are infertile. It is the end of their world. Infertility is more than a disease, it is a devastating life crisis. Here you are, physically unable to get pregnant and financially incapable of doing anything about it. A Harvard Medical School Study states, “About 5% of couples living in the developed world experience primary infertility (inability to have any children) or secondary infertility (inability to conceive or carry a pregnancy to term following the birth of one or more children)”. There are choices available to these couples, there is adoption, surrogacy and IVF treatments. For those who want to have their own children, surrogacy and IVF remains the preference. Gestational surrogacy can range in cost from $70,000 upwards of $1,000.000, taking into account attorney and agency fees and then medical and insurance costs. It’s also no secret that IVF treatments are exorbitant. The medical exams, diagnostic tests, the procedures and follow up appointments all come at a substantial price but certainly a more affordable option than surrogacy. According to the American Society for Reproductive Medicine, in vitro fertilization (IVF) cost averages around $12,400 these days. This is for one cycle. There are not many people that have that kind of cash lying around, not taking into account the fact that it could take two or three IVF cycles to achieve pregnancy. There are couples desperate enough to incur debt in order to achieve their goal, taking loans, spreading payments over multiple credit cards or using a combination of check, credit card, and cash, mortgaging their homes to the hilt. Health Insurance companies do not cover Assisted Reproductive Technologies (ART). The patient bears the burden of paying “out of pocket”, leading to more stress and long term financial burdens. But how can you make cost a factor when it comes to having a baby? The truth is that you don’t need to, there is assistance out there. There are grants available to couples going through the agonizing process of finding the funds for IVF. Currently, there are grants for couples available in order to cover costs associated with fertility treatments, such as in vitro fertilization (IVF), using donor eggs, and embryo adoption at any Assisted Reproductive Technology (SART) certified clinic. The grant money can be used toward any of the costs of IVF (monitoring, ultrasounds, anesthesia, retrieval, fertilization and culture of the egg, or transfer). There are also grants for individuals, for expenses associated with assisted reproduction such as IUI, IVF, egg and sperm donation, egg freezing, and surrogacy. Clients who have medical insurance coverage for the various fertility treatments or medicines will be required to submit all medical claims to their provider first. For couples who have failed the second cycle of in vitro fertilization, there are also ongoing grants available. Find these ongoing opportunities here. Couples would have to meet the definition of infertility as defined by the American Society for Reproductive Medicine, show good mental and physical health and good living arrangements. They would also probably have to produce a health insurance plan to cover their prenatal health. 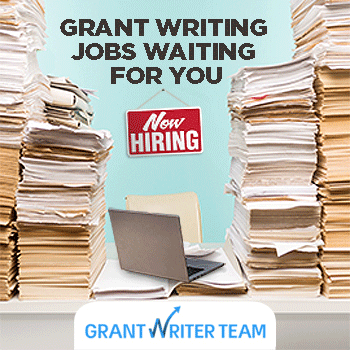 GrantWatch has thousands of related grants and opportunities across the country. For those looking to get in the loop for such opportunities, feel free to check us out! If you know of any other resources for infertile women, please comment below.